There's a good reason why we put that sticker in the upper corner of your windshield letting you know when you've hit another 3,000 to 5,000 miles on your Jeep- it's time to change your oil. At Roberson Motors in Salem, Oregon, our auto service department offers regular Jeep oil change service to help you combat the everyday wear and tear your vehicle takes. Basic oil changes and oil filter swaps are an easy way to extend the lifetime of your vehicle, and a convenient way for us to get under the hood and make sure everything else on your Jeep is running smoothly. Don't wait- stop by Roberson Motors for a Jeep oil change today! Service your Jeep vehicle at your trusted Salem, OR Jeep dealership. 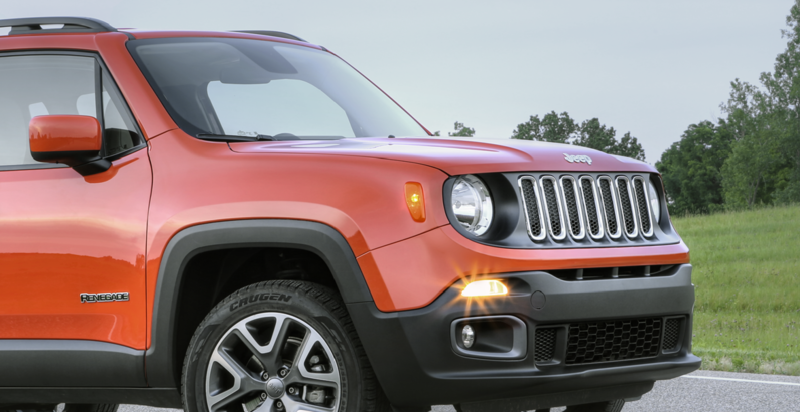 Our team at Roberson Motors in Salem, OR is proficient in Jeep repair and maintenance, and understands the extra beating Jeep vehicles may take compared to others. To make your visit worth while, our service center is a one-stop-shop for all things Jeep repair. Our staff will also set you up in our lounge area with free Wi-Fi while you wait, or with a loaner car so you don't miss out on the rest of your day. Give us a call today to set up your next oil change and service appointment for your Jeep. Roberson Motors in Salem, OR has an auto service department and staff committed to getting you back on the road with routine Jeep maintenance. Whether it's parts replacement, a transmission fix, or a simple oil change service and new oil filter, our Jeep experts are here to help. Go online, stop by in person or give us a call today to set up your next appointment at Roberson Motors in Salem, OR!